Dr. Cibele Raimondo brings a great passion for dentistry to our team and strives to provide all of her patients with excellent dental care. Focusing on helping you achieve a healthy and beautiful smile, Dr. Raimondo works hard to provide such great treatment in a caring and loving manner. Dr. Raimondo graduated with a bachelor’s degree in biology from the University of Maryland at College Park and then earned her doctor of dental surgery degree at the University of Maryland School of Dentistry in 2002. She has been practicing dentistry in Annapolis since 2004. As part of her commitment to provide you with great dental care, Dr. Raimondo constantly continues her education in the dental field and she attends courses and seminars throughout the year. Dr. Raimondo is a member of the Academy of General Dentistry, and she participates in Donated Dental Services and the Stanton Dental Outreach Clinic. 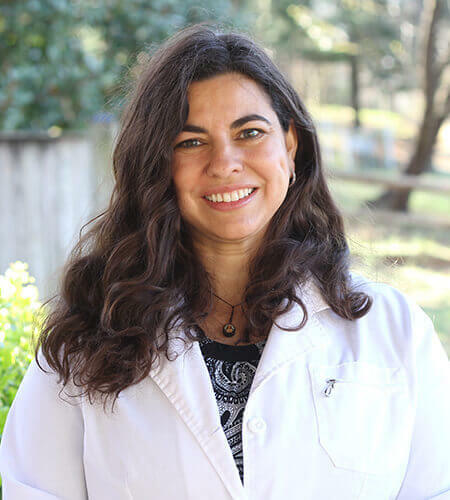 Originally from Brazil, Dr. Raimondo fluently speaks English, Portuguese, and Spanish, which helps her to uniquely connect with our patients. She has three beautiful children: Isabella, Antonio, and Nicholas. Dr. Raimondo loves art and spending time with her lovely family.